John Haberstro is a 7th-generation Buffalo native. His family has a long and proud history of entrepreneurship and public service in the Western New York community. From the Old German American Brewery and Buffalo Police Department to the New York State Police and Wellness Institute of Greater Buffalo, the Haberstro family has proudly served the Buffalo Community for over 150 years. 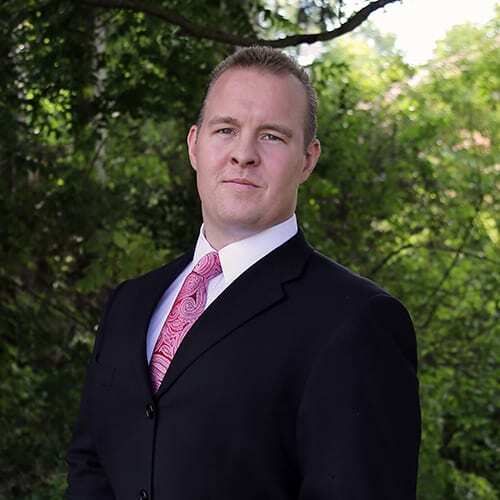 John started his career in the financial services industry in 2003 after graduating from Canisius College with a finance degree as a member of the All-College Honors Program. He was offered a position as a financial advisor at The Compass Group – a financial service firm in Williamsville. John later moved to Phoenix, AZ seeking to advance his career and joined a wealth management team as a financial planner at The Lofy Group. The Lofy Group is a family wealth office that integrates legal, tax and financial services into one comprehensive wealth management service. His experience working with Estate Planning Attorneys, CPAs and various investment professionals has made him a well-rounded addition to our wealth management team. In March 2012, John brought his financial planning experience back to Buffalo to join up with his friend and mentor, The Retirement Guy, Jay Blanchard. Together, they have launched Shield457. John handles the financial planning process, maintains our 457 Confidence™ service all while staying updated on the changes to the Police and Fire Retirement System. John Haberstro currently holds his Series 7 and 66 Securities licenses, as well as his NY State Life Insurance license. He is a CFP® candidate, having completed his financial planning education requirements at the American College™. John is an avid reader who enjoys challenging himself to increase the knowledge of his craft. When he’s not working, you’ll find him on The Pitch enjoying the gentlemen’s game of rugby. He is an outdoors and dog lover with interests in physical fitness and leadership.